Knitwear and a quilted jacket. 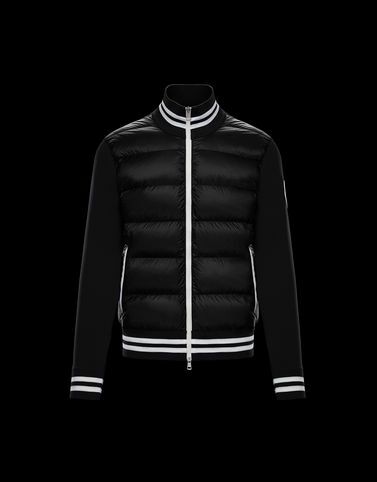 Moncler was not satisfied with choosing only one for this season’s wardrobe and created a tricot knit cardigan that combines the two looks and keeps the winning cards of both. High-quality yarn combined with iconic quilting make it a winning ally for every moment of a city lifestyle. Do not wash; Do not bleach; Do not tumble dry; Ironing maximum temperature 110°C - without steam; Dry cleaning in tetrachloroethene - mild process; Do not professionally wet clean; Dry flat; Wash separately; It is advisable to wash and iron the garment on reverse. ; For delicate dry cleaning it is advisable max 40°C delicate drying .